For many years, consumers had to struggle with finding a window treatment for their bathroom that would compliment a newly purchased shower curtain. Not having a window treatment would give the impression of an unfinished decorated bathroom, so searching endlessly store to store for a complimentary color in a valance or panels became the norm. 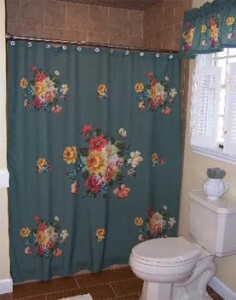 Others chose to purchase two shower curtains, using the second one to sew their own window valance or panels. Many desired a unique fabric shower curtain that would reflect their own personal style, only to be disappointed by common selections. Tole Tray provides an alternative to wasting time and aggravation by creating beautiful vintage inspired fabric shower curtains and offering matching window valances with every design, making it easier to complete and enhance the look of any bath décor. Tole Tray fabric shower curtains and window valances are digitally printed, allowing the designs to come alive on fabric with their vibrancy of colors. The shower curtains measure 72 inches square and the sewn button holes can accommodate most decorative shower hooks. Window valances measure 58 inches wide by 15 inches long, fitting bathroom windows between 35 and 45 inches wide. Tole Tray bathroom accessories are machine washable and proudly made in the USA. Tole Tray’s Co-Founder, Susan Sotkovsky says, “We feel our company is bringing innovation to a staple bathroom accessory and more importantly, Tole Tray is committed to make decorating bathrooms easier by offering matching window valances with every design.” Tole Tray LLC will be exhibiting their products at the NJ Fall Home Show at the Meadowlands Expo Center Oct. 3 -5, 2008. “It’s an exciting time for us and we’re looking forward to being there and meeting everyone.”, says Susan. Tole Tray LLC is located in the historic town of Barnegat, New Jersey. Tole Tray products are available online at www.toletraydesigns.com as well as select online decorating directories. For further information, contact Susan Sotkovsky at 609-660-8233 or email susans@toletraydesigns.com.  This entry was posted in Consumer Goods, Home Decor, Online Retailers, Online Shopping, Retail, Retailer and tagged bath decor, bathrooms, home, shower curtains, Tole Tray. Bookmark the permalink.